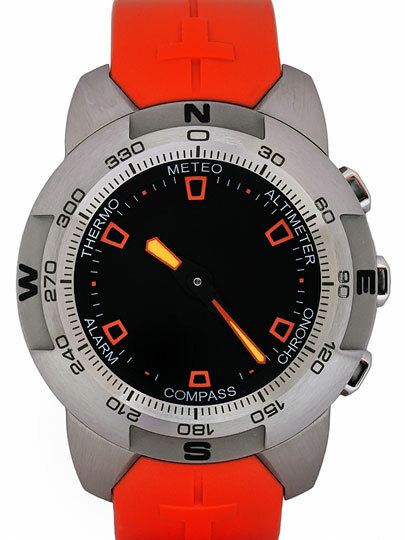 A high-tech sport watch features a silver face and red rubber watchband. Asymmetrical red squares represent the numbers on the watch. The watch includes a variety of characteristics, including those that measure temperature, altitude, and time. The watch also has alarm and compass features.